Hallyu actor Lee Byung-hun and actress Han Hyo-joo were in attendance for the press conference for their upcoming historical film "Masquerade" held at a movie theater in Seoul, South Korea on August 13, 2012. With director Choo Chang-min at the mic, "Masquerade" focuses on the story the episodes that a low class man goes through in order to become king of the country. Lee plays the double role of Gwanghae, the 15th King of the Joseon Dynasty, and Ha-sun, a man born into low class. Unlike the other historical figures in Korean history, King Gwanghae is known to be one of the misfortunate figures in the Joseon Dynasty's history. As he was deposed by the Westerners faction in a coup, historians did not give him a temple name like Taejo or Sejong. 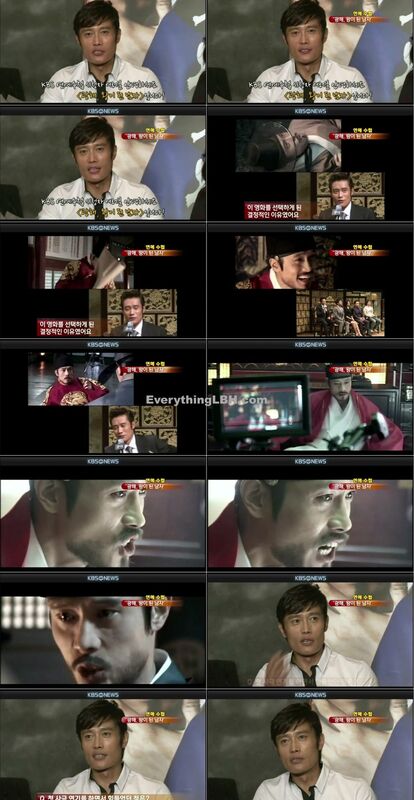 Meanwhile, Han plays the queen and actor Ryu Seung-ryeong helps Ha-sun rise to sit on the King's throne. Both Lee and Han's first historical film, "Masquerade" is slated to open in local theaters over the Korean Thanksgiving holidays. [sSTV] '광해' 한효주 "이병헌과 합방신, 너무 잘 느끼셔서..."[sSTV] HHJ: LBH and the rest makes filming so easy..
'광해' 이병헌,"언제나 1등으로 달려가.. 배고픈거 못 참아"LBH: Always #1 in line..
'광해' 한효주,"이상형은 김인권, 문제 없을꺼 같아서..."
The photo shows Lee Byung Hun in a king’s garb, as he is playing the dual role of the King of the Joseon Dynasty and a beggar who resembles him. In contradiction to his stately robes, the actor flashes a peace sign and smiles faintly at the camera. 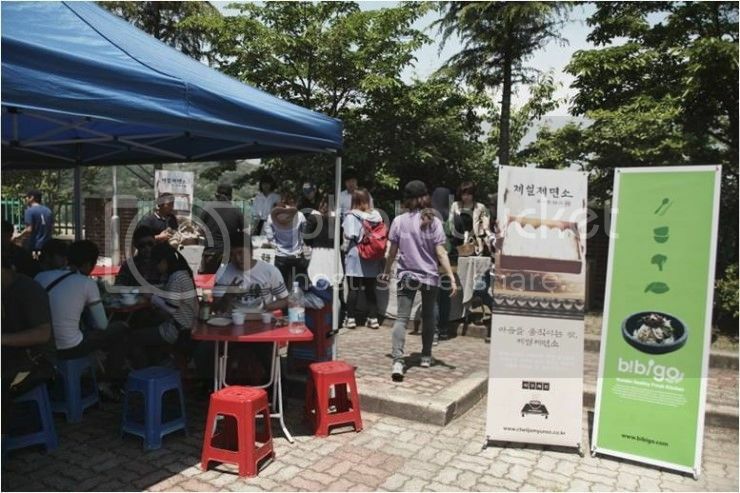 The photo was published on the movie’s official blog and Facebook sites, which was opened to help generate more interest for the movie that also stars Han Hyo Joo. 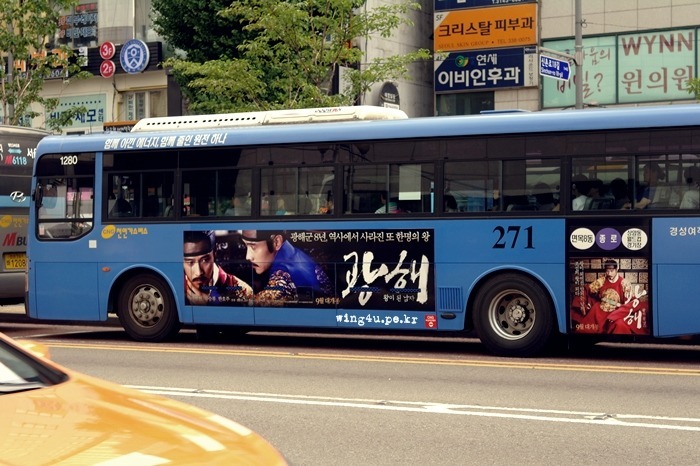 “Gwanghae, the Man Who Became King” is scheduled to open in cinemas in September. 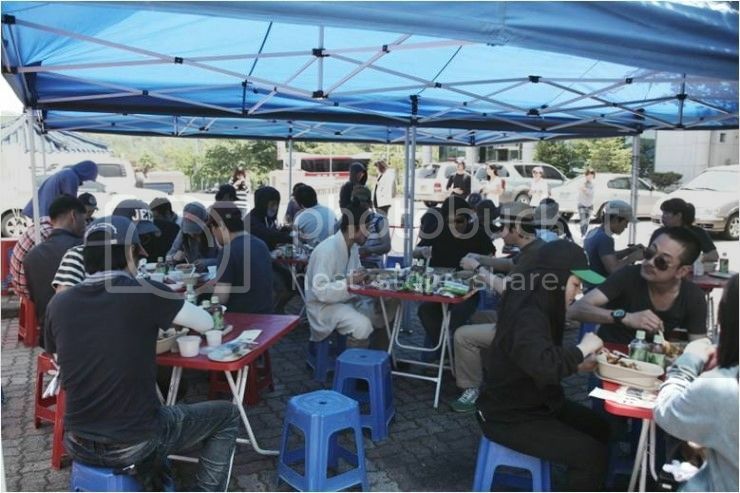 Credit & gratitude: Korean article at Nate.com, Chinese article at Sina.com. 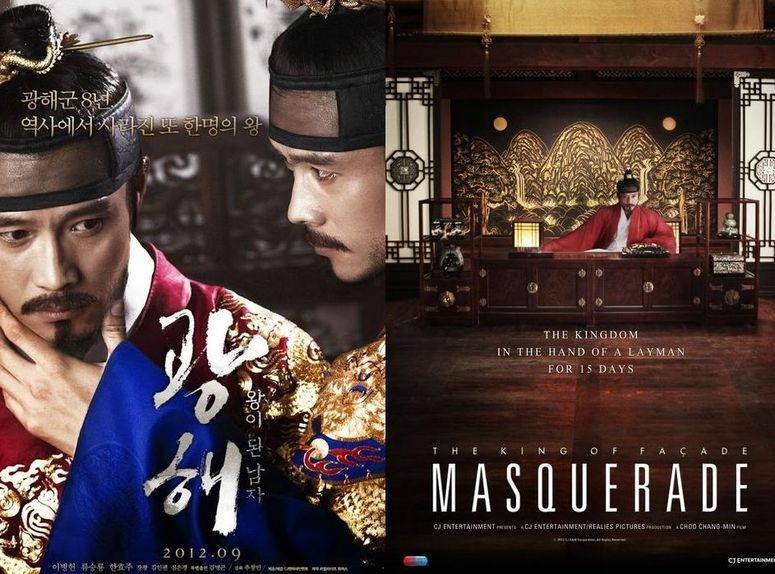 Why did the world star Lee Byung Hun decide to star in the period piece Masquerade (Gwanghae, The Man Who Became King)? The actor revealed why at the press conference for the film held in Seoul on August 13. Masquerade is about how the low class Ha Sun enters the palace to pretend he’s the king when the real king comes in danger of being poisoned. The piece is Lee Byung Hun’s first period piece, and for the film he took up the two roles of king and low life. Ryu Seung Ryong also stars in the film as Heo Gyun, along with Han Hyo Joo as the Queen who wavers with the secret behind the real king and the fake king. 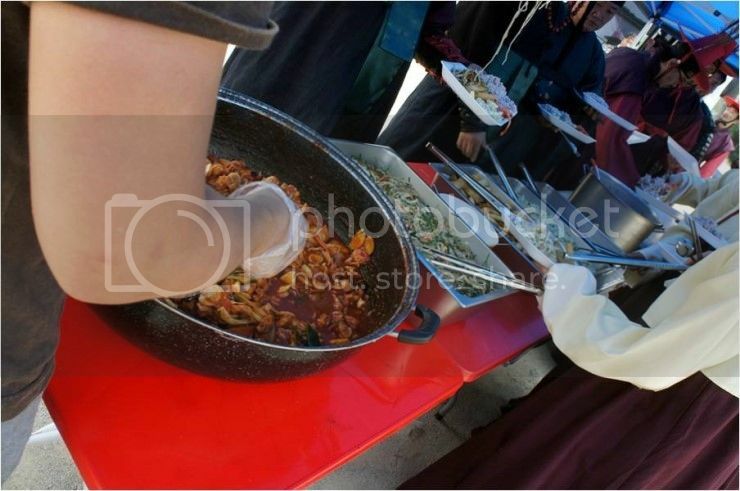 Other actors guaranteed to put on a great act, such as Kim Myung Gon, Kim In Kwon and Shim Eun Kyung, will also appear. Screenwriter Hwang Jo Yoon of Old Boy took up the script, while director Choo Chang Min of Mapado and I Love You directed for the film. 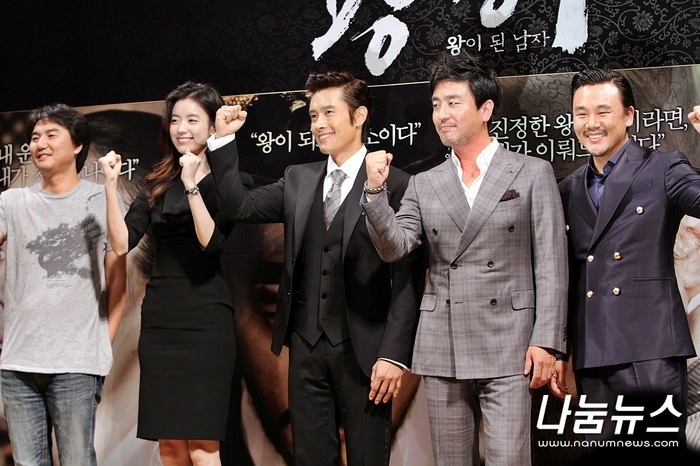 Han Hyo-joo (left) and Lee Byung-hun pose at a press event for their new film in Seoul on Monday. Thanks fot this one rubie. When I saw the trailer, I'm getting goosebumps on this.... But still, a very good movie.... Hope that this movie will hit the nation soon. Coming this fall with the first ever day-and-date Korea and U.S. theatrical release for a Korean film is the hotly anticipated historical drama "Masquerade", starring Korea's world star Lee Byeong-Heon and written by "Old Boy" co-writer, Hwang Jo-yoon. The versatile actor LEE (G.I. Joe: The Rise of Cobra and A Bittersweet Life) plays the dual lead as both the tragic King Gwanghae and that of the commoner who shares a fatefully remarkable resemblance to the ruler, Ha-Seon. Deeply embroiled in palace intrigue which aims to assassinate the ruler, King Gwang-Hae orders his trusted councilor Heo Kyun to find him a body double. When the King collapses from a mysterious poison, Ha-seon must carry off the biggest masquerade of his career to save the country from chaos while under imminent threat of death. Acclaimed character actor Ryoo Seung-yong ("Everything about my Wife", "Arrow, The Ultimate Weapon") and rising star Han Hyo-joo ("Always") appear in supporting roles as the councilor and the queen, respectively. The production report press conference for the movie ‘Gwang Hae: The Man Who Became King’, starring actors Lee Byung Hun, Han Hyo Joo, and Ryu Seung Ryong was held on the 13th at the Sinsa-dong Apgujeong CGV. Han Hyo Joo showed off her innocent beauty wearing a simple black dress for the event. She let her long, natural black hair down, which accentuated that clean and pure image she’s so famous for. Han Hyo Joo wore natural looking light makeup for the day, a better choice for someone who possesses as beautiful skin as she does. She smiled a lot throughout the press conference and her bright smile completed a truly enchanting look of the day. ‘Gwang Hae: The Man Who Became King’ tells the story of King ‘Gwang Hae’, who’s in danger of being assassinated by poisoning, orders his trusted subjects to find him a double. Slave ‘Ha Sun’, who’s a perfect double of the King is found, but the king is poisoned before he can take the King’s place. Now Ha Sun needs to fill the role of the king until the King recovers and make everyone in the kingdom believe he is the real King. With the presidential election only a few months away, “Gwanghae: the Man Who Became King” could not be released at a better time. Inspired by Mark Twain’s “The Prince and the Pauper,” the historical drama about switched royal identities challenges the audience to think about the system of the government today, specifically the way we see the role of the nation’s top job, according to Lee Byung-hun, the lead actor who plays the two protagonists. The new movie by Choo Chang-min (“Mapado: Island of Fortunes,” 2004) revolves around Gwanghaegun, the 15th ruler of Joseon Kingdom (1392-1910) and little-known figure commonly mistaken as a tyrant today. The suffix “gun” denoting a prince rather than a king, he was one of two sovereigns unable to secure posthumous temple names (ending with jo or jong), after being overthrown by a coup. His notoriety comes from the association to the other “prince” Yeonsangun, the 10th king, considered the worst oppressor of the people during a five-century-long history. After having acceded to the throne in a time of political turmoil, with the court embroiled in fights for influence between different alliances, Gwanghaegun fears assassination. From here the film takes the creative turn as the king switching places with a commoner Ha-sun temporarily with the help from a confidante, Heo-gyun (Ryu Seung-ryong). Things get complicated when others start noticing the sudden change in the ruler’s personality, including the queen (Han Hyo-ju), who prefers the new, more affectionate husband, and his loyal guard (Kim In-kwon). Further problems arise when the stand-in goes rogue, expressing his true thoughts about the social problems and court corruption. At the media event, Ryu talked up the film and mentioned his personal recollections. 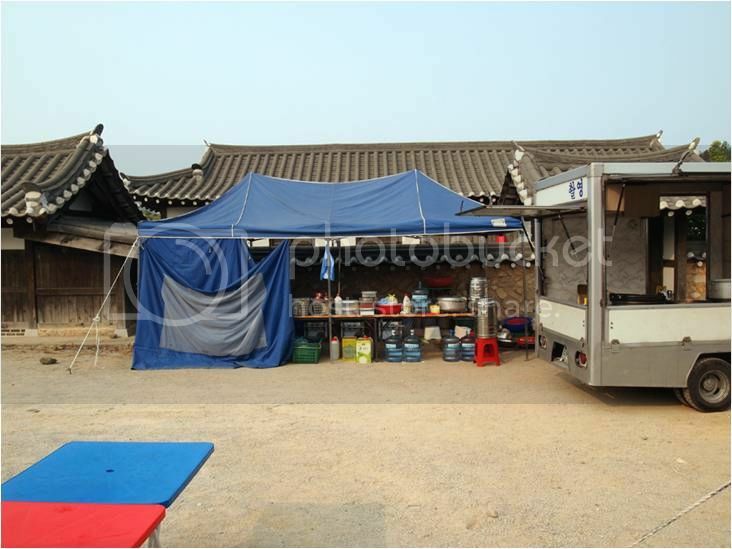 Choo spoke of another realistic aspect in his film: the set design. Lee, claiming to have natural instinct for comedy that is “dying to be let out,” said the commoner role gripped him right away. “Gwanghae: the Man Who Became King” (international release title: “Masquerade”) is slated for a late September release in nationwide theaters. It is not yet rated as it is still in the editing process. 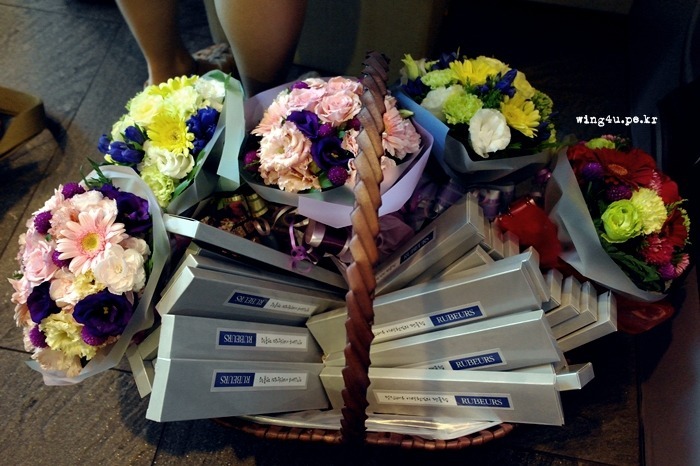 Distributed by CJ E&M. This is a delightful clip from KBS. Seems that there was another interview (perhaps, more) after the press event yesterday. The cast and Lee Byunghun-ssi looked different and more casual in this clip, plus some more scenes from Gwanghae. Looks like the King and Queen had a bit of a wrestling match. On 3rd, press conference of movie 'Gwang Hae' took place at CGV Apgujeong branch, and Lee Byung-heon, Han Hyo Joo, Ryu Seung Ryong, and Kim In Kwon attended to introduce the movie. During the conference, Lee Byeong-heon talked about struggles that he had to go through while shooting. Lee Byung-heon casted as two different characters, as the actual King Gwang Hae, and a slave who was chosen by the king to become a fake king because of the similar look. Therefore, Lee Byung-heon had to appear in over 80% of the movie. Lee Byung-heon said, "I had shooting almost every day," and "I had a lot of mental and physical struggles." He also said that it was hard to express the two different characters' emotions. On the other hand, the movie will be released in September. Actor Lee Byung-Hun, "I Am Having Fun"
Actor Lee Byung-hun attended the press conference for his upcoming historical film ‘Masquerade’, held at the Apkujung CGV movie theater in Seoul, South Korea on August 13. 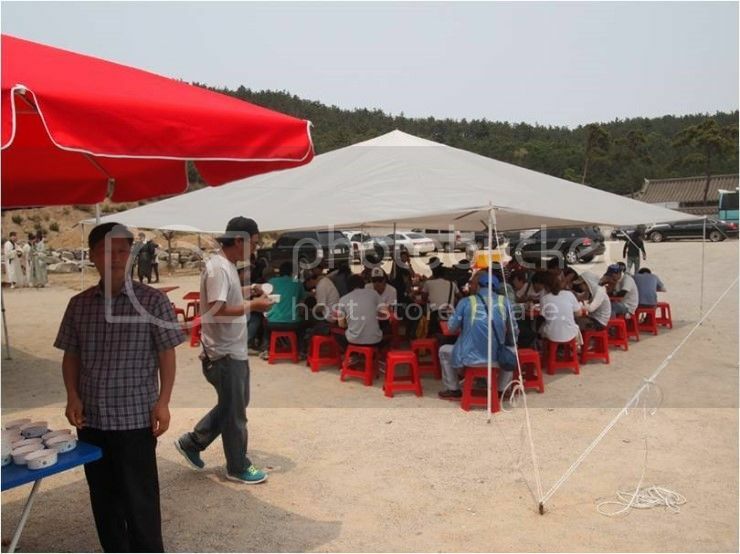 “I am trying to have fun while being serious shooting the scenes”, Lee said during the interview. 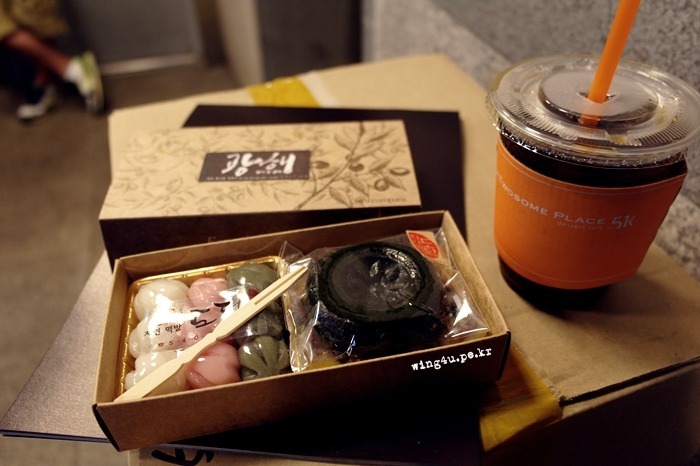 Lee plays double roles as Gwanghae, the 15th King of the Joseon Dynasty, and Ha-sun, a man born in the low social class. ‘Masquerade’ opens in September. Actress Han Hyo-Joo, "Lee Byung-Hun Makes Me Feel Comfortable"
Actress Han Hyo-joo attended the press conference for her upcoming historical film ‘Masquerade’, held at the Apkujung CGV movie theater in Seoul, South Korea on August 13. “Lee makes me feel very comfortable when we shoot together”, Han comment about her partner, Lee Byung-Hun in the movie. Han plays the queen in the movie. ‘Masquerade’ opens over the Korean Thanksgiving holidays. 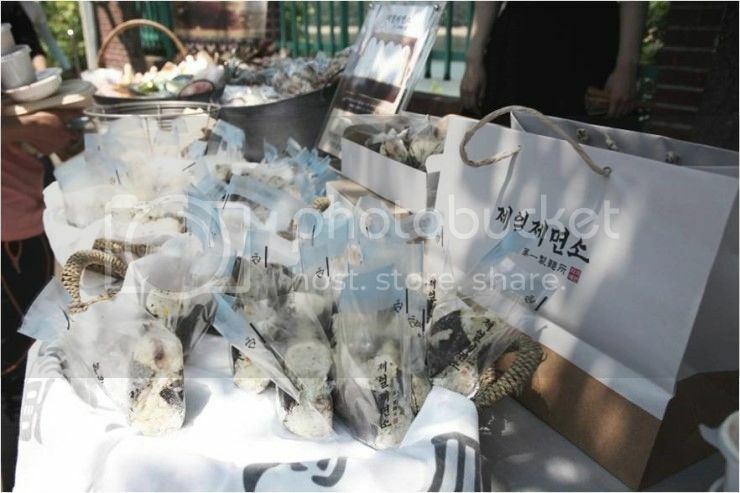 Korean actor Lee Byung Hun has revealed his unusual love for food. The production press conference for upcoming movie ‘Gwanghae: The Man Who Became King’ was held on August 13th at CGV Apgujeong where Lee Byung Hun revealed that he is always unable to suppress his hunger and would be the first to rush to the meal truck when it comes to lunch time despite being in costume and having to usher his long beard along. 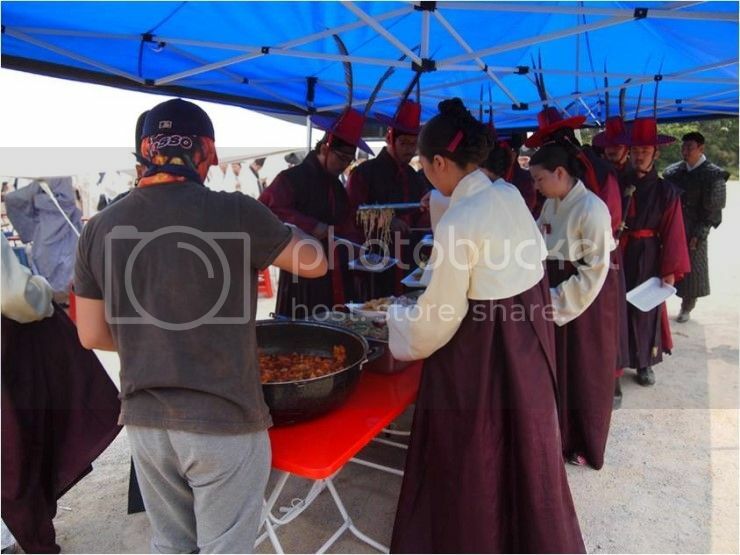 Fellow cast member, Ryu Seung Ryong also said that he has the same love as Lee Byung Hun and has lots of love for the meal truck. 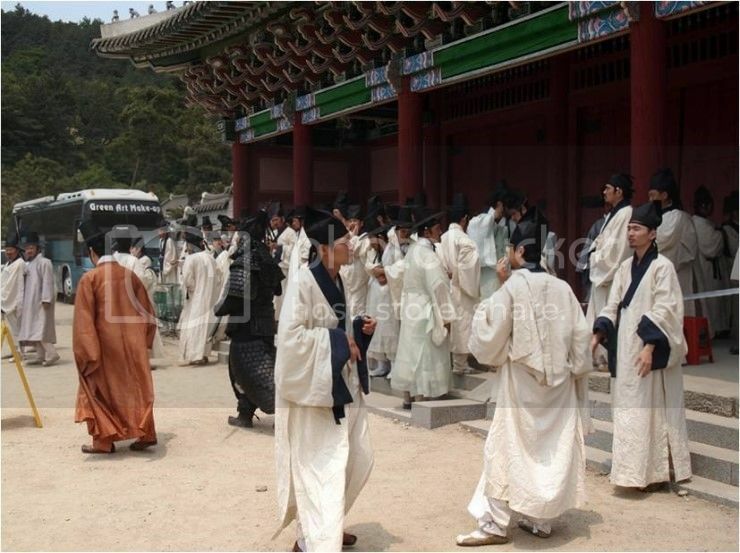 The movie ‘Gwanghae: The Man Who Becomes King’ is a story that happens during the 8th year of King Gwanghae’s reign. With much court conflict and turmoil, the real King Gwanghae is poisoned and taken ill and he is replaced by a commoner named Ha Sun who looks exactly like him. As Gwanghae recuperates, Ha Sun takes over the king’s duties and rules the nation wisely. But the real conflict comes as interest clash and the fake king’s identity gets questioned. 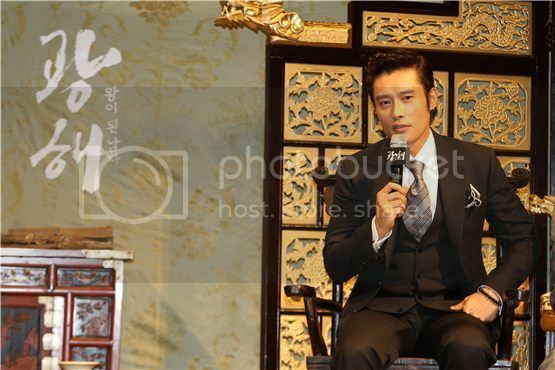 Lee Byung Hun will be playing two roles, King Gwanghae and the commoner Ha Sun. 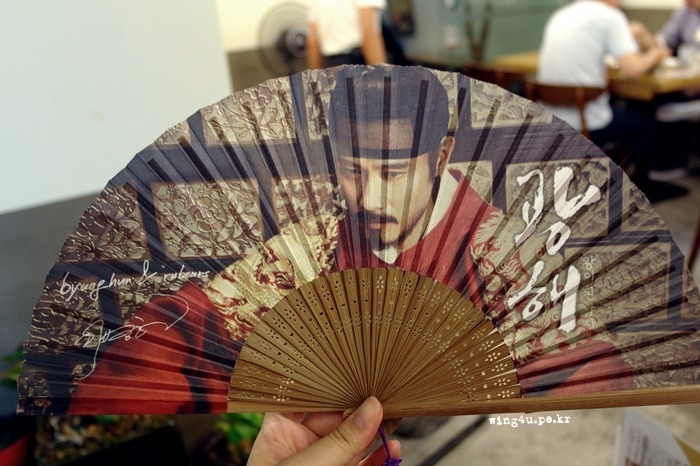 This will also mark Lee Byung Hun’s first time acting in a period movie. 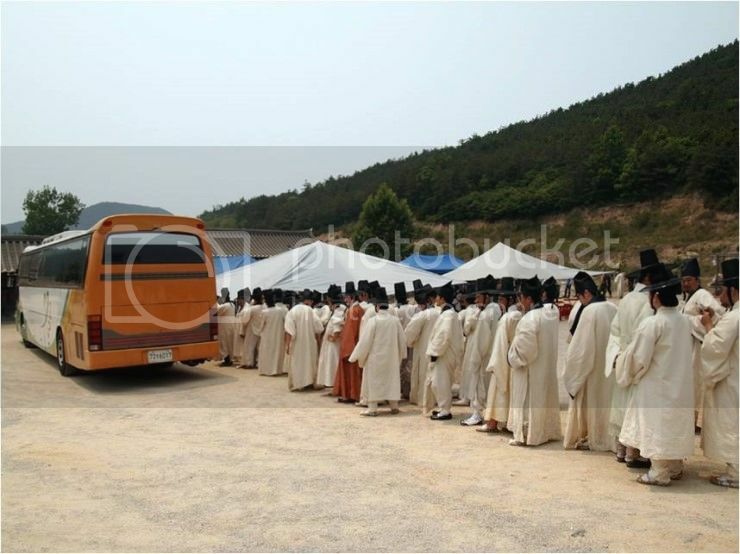 Besides Lee Byung Hun, the movie also stars Ryu Seung Ryong, Han Hyo Joo, Kim In Kwon, Shim Eun Kyung and many more. ‘Gwanghae: The Man Who Becomes King’ will air in cinemas nationwide in September, just in time for the Chuseok holidays. 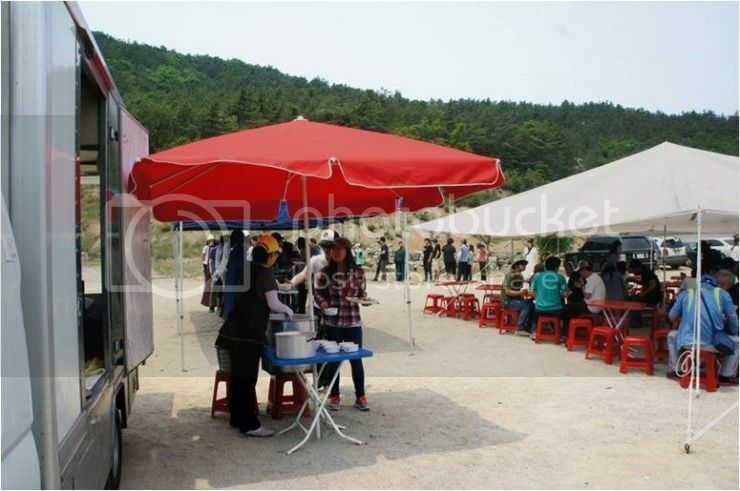 This is a nice clip showing lots of filming BTS at the Gwanghae set.. some funny scenes with LBH as well as the main cast.